The Intermediate Program takes you the practitioner on an in depth journey into more of the unique Sounds from Source Vibrational Sound Programs, as well as sharing specific channeled information with you that we believe is of great benefit when working both with clients and for yourself. The Vibrational Sound programs and Sounds from Source mp3 programs are designed to release physical mental, spiritual and emotional stresses and tensions and the many layers of stored memories held within the cellular level of the body, assisting the client or patient to release these memories and allowing for a more beneficial outcome of the specific therapy / healing/ modality/ work being provided by the individual practitioner. 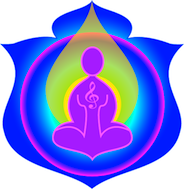 The Intermediate Vibrational Sound practitioner program comprises 7 Modules and 60 practitioner level downloadable Vibrational sound programs. The Vibrational sounds have been separated into the individual modules so as to allow you to be comfortable and familiar with the specific sounds as you work through the program modules. Practitioner Protection. Keeping yourself and your work space free from energetic attachments and energy drains, as well as energetic vampires. This module Introduces the Practitioner Protection sounds, the Practitioner Intention statements, and the very important Awareness sounds. Revisit the Basic Vibrational Sound program, and then move on to a deeper understanding of the Vibrational Sounds and Sounds from Source programs. Explore how these vibrational sounds work at a deep cellular level to assist the body to release locked in stresses, tensions and stored memories from the skeletal and musculature structures of the body. This module will also examine areas such as depression, the possible effects of Genetic Ancestral, Cellular and Chakra memory, and the Vanishing Twin complexities. This module explores Genetic faults which may affect the physical body, and contribute to allergies and the like. In this module are two very new and powerful sounds, Genetic Channeling and Cyclic Inherited Trauma. The Cyclic Inherited Trauma sound addresses the areas of what may also be termed Post Traumatic Stress Disorder and the probability of it being ‘passed on’ down the genetic family line. Dealing with Anxiety. Anxiety was the basis of the very first sound I created in the original ‘The Healing Sounds’ program in 2004. This was followed by Anxiety 2 in 2006. In 2010 we were given an amazing amount of additional information which led to the knowledge included in the further sixteen known and individual levels of Personal Anxieties and the effects of these anxieties on the human body. The 9 Aspects of Being, Go past the Physical, Mental, Spiritual and Emotional levels of the body to explore all nine of the known aspects of being. Energetic and Dimensional Illnesses and their treatments. Explore beyond the physicality of illness and ill health to the dimensional aspects of the being. What’s Next?The Intermediate Program opens up a world of possibilities for you as a practitioner as it is the required ‘standard’ for many of the additional Sounds from Source Programs and allows you to ‘fine tune’ the areas of your practice which resonate for you. On completion of your Basic Vibrational Sound programs Practitioner Certificate, you have the choice to be registered on our practitioner listings. NB: Please remember that these programs are downloaded (channeled) spiritually based metaphysical tools that work with the innate ancient healing systems of the body. These tools are designed to assist the body from a metaphysical and energetic viewpoint and as such are not intended to be a replacement for medical treatment.